Utilitarian and aesthetic decorative concrete provides beauty to any structure. Wade Brothers Painting has been creating beautiful spaces using decorative concrete for 25 years. We are located in Virginia Beach but we serve all of Hampton Roads. If there is any other styles or types of decorative concrete you crave, just let us know. We are more than happy to satisfy your concrete needs. Decorative Concrete is a great way to make your driveway beautiful. In Hampton Roads the weather changes rapidly from day to day, rain gets into cracks in your driveway and expands when frozen. 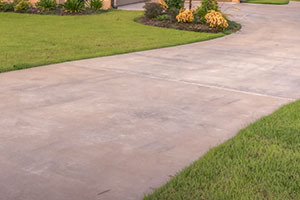 If you need a new driveway, consider decorative concrete. 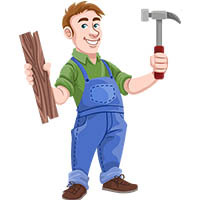 Call Wade Brothers Painting today for a free no-obligation quote. Decorative Concrete will provide your outdoor pool area with a breathtaking, slip-resistant surface that is cool to touch. With the weather in Hampton Roads changing so often, many concrete pool decks are easily damaged. Wade Brothers Painting offers resurfacing that can withstand our dramatic climate changes. 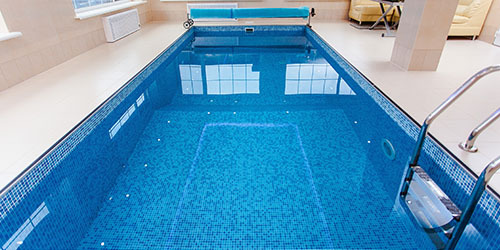 Call us to make your pool look new again. Decorative Concrete will also give your patio area a slip-resistant surface that is cool to touch. Just like pool surfaces, the weather in Hampton Roads can damage patio surfaces. Most concrete patios are easily damaged by the weather. Wade Brothers Painting offers resurfacing that can withstand our dramatic climate changes. Call us to make your patio beautiful. Your garage floor is used for all sorts of things. You cars, various repairs, storage and so much more. Decorative Concrete surfaces can take great impact, chemicals and heavy foot and vehicular traffic. Our coatings offer more strength and beauty. After coating the surfaces of your garage you can expect a long-lasting and highly durable garage flooring that requires minimal cleaning and maintenance. A newly painted drive-way can add protection as well as increase the property value of your home.